Designerlebrities like Wendy Glaister start their holiday decorating way before the Thanksgiving turkey is purchased. In fact, sometimes even before the Halloween candy is purchased. Mainly because celebrity interior designers are proudly working on their clients' private residences to be featured publically. So is the case of California's Central Valley based interior designer, Wendy Glaister. Wendy's Peterson's Ranch project was featured here on Designerlebrity.com just a few months ago. Now Wendy shares exclusively with Designerlebrity, 'Christmas at the Peterson's Ranch'. With a festive tour and a holiday styling video, this will surely put the 'merry' in your 'Merry Christmas' home. 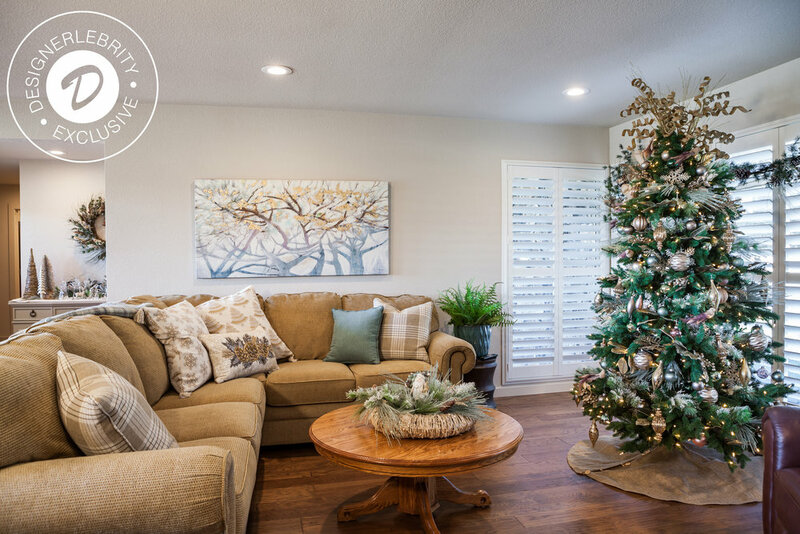 Wendy created multiple cheerful areas to celebrate the holidays at the Peterson's Ranch. Like the joyous winter wonderland displayed in the entryway and several shimmering decorative corners when in the kitchen. Each glimmering spot styled for a sparkly season. Wondering how you can create this glittery chic look for your own home? We got your covered from the wreath to tree. 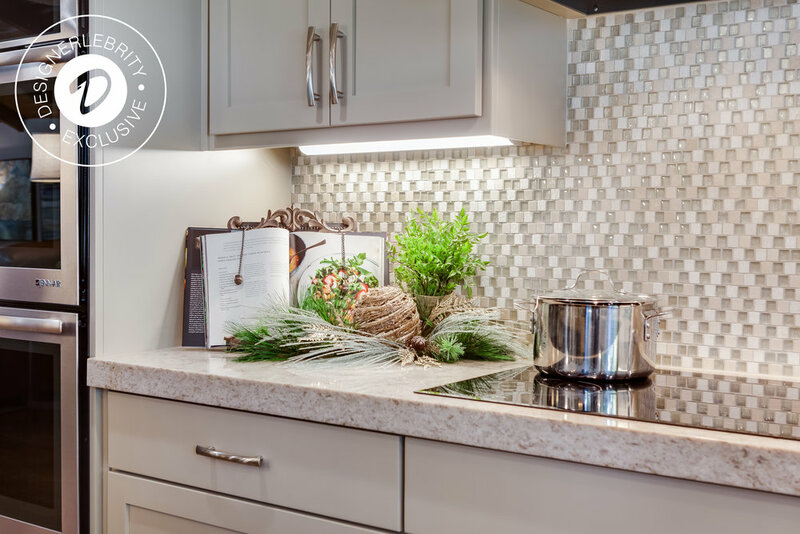 Interior Designer, Wendy Glaister exclusively creates a holiday decorating tutorial for Designerlebrity readers!